We offer $13 flat rate shipping (per box) to most Canadian addresses. The only exceptions are extremely rural areas where postal services come at a premium. Depending on your location and the size of your order, there may be even cheaper shipping options available during checkout. We generally ship our flat rate parcels via Canada Post Expedited. Faster services may be available during checkout. We reserve the right to reassess the shipping charges on any order. Typically this only occurs if the order is too heavy or voluminous to fit in a single box, or if the delivery address is too rural to qualify for flat rate shipping. We will contact you with the new charge for authorization. Products listed as "standard stock items" on our website usually ship same or next business day – we will contact you immediately if an item you ordered is out of stock. In order to ship certain items (i.e. skates), we may need to confirm sizing with you. If we are unable to reach you, this may cause a shipping delay. We normally ship by Canada Post Expedited, or occasionally by an equivalent ground service. We ship all orders from our Vancouver shop, except in extraordinary circumstances. You can preview your shipping options and expected delivery date by simply pressing the "Checkout" button if you are logged into your account. In other words, you do not need to pay before seeing what your shipping options are available. 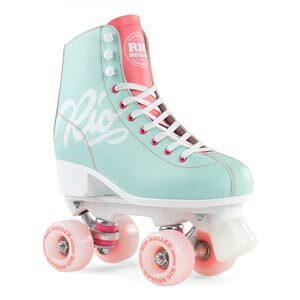 Custom skates typically take 15-30 business days for delivery. Please contact us for a more precise estimate. If you need your order by a specific date, please indicate this on your order and we will do everything we can to meet it. Rush shipping is available at checkout as well. Certain items require sizing confirmation. If we are unable to reach you, this can delay your order! Please double-check your contact information before submitting your rush order. Cancel the backordered item from the order. We will refund you for the item, and ship the rest of the order immediately. Wait for the backordered item to come in stock, and have the order shipped then. Have all in-stock items on the order ship immediately, and have the backordered item ship when it is back in stock. The customer is responsible for the shipping costs for multiple/additional shipments. We only offer one flat rate shipping per order, additional shipments are at regular Canada Post rates. Group orders are a great way to save on shipping, and we definitely encourage you to shop this way! The more items on an order, the higher the chances of a delay (due to waiting for sizing confirmations or backorders). You will need to balance the benefit of cheaper shipping against the possibility of a delay on the order. You may find it easiest to have each group member call in with his/her order rather than having one person coordinate the communication between us. We can also take the payment for each person this way, which may make things easier for you. Flat rate shipping is $13 per box, if the combined order is too large it will take several boxes and incur additional shipping charges.